The UK public has a fascination with history. The popularity of historical novels and TV programmes are evidence of this. At an academic level, such a preoccupation shows itself as an interest in historical research, and since research takes up time and money, students often express a need for financial support. A number of institutions have risen to the challenge this poses and have created research programmes with grant funding. The Royal Historical Society is a membership-based organisation. Nonetheless, it offers research grants to both members and non-members. These grants are for postgraduate research students and for people who organise relevant conferences. The postgraduate research grants come in various categories. For example, students can apply to receive research expenses for work in the UK or abroad. The grants are from £50 to £500. They help cover the cost of travelling to archives and historical sites. Postgraduate students presenting papers or giving lectures at courses and conferences can also apply for grants. Again, the grants are from £50 to £500 and provide help towards travel expenses. The purpose of the Royal Historical Society’s conference organiser grants is to lower the cost of conference attendance for postgraduate researchers. The grants subsidise the researchers’ registration fees. 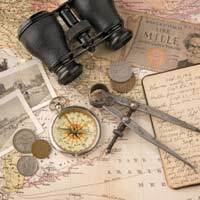 The Institute of Historical Research (IHR) has a range of prizes, awards, scholarships and bursaries available for historians and historical researchers. The Institute’s Scouloudi Historical Awards help pay the cost of researching a historical work intended for publication. The work must not be for a degree thesis. The Scouloudi Historical Awards can also subsidise the publishing costs of a historical article or book. The Institute also has 10 David Bates, Alwyn Ruddock and IHR Friends’ Bursaries. These have a value of up to £500 each. The aim of the bursaries is to give financial help to students who live outside Greater London but who wish to do research at the IHR or other London historical archives. Students who receive a bursary must use the Institute as the base for their London research activities. Another of the Institute’s grants is the Richard III Society and Yorkist History Trust bursary. This is worth £1,000. Applicants must be working on a higher degree and preparing a thesis or dissertation about late fifteenth century history or art history in England. The IHR also considers applications from students researching European or English topics from the late medieval Yorkist period. The Huguenot Scholarship has a value of up to £2,500. The IHR gives advice to the Trustees of the French Huguenot Church of London Charitable Trust about who should receive this award. Applicants must be higher degree students researching any historical aspect of Walloon, French, Flemish or Dutch protestants. The goal of the Arts and Humanities Research Council (AHRC) is to encourage research into human creativity and culture. Historical research falls into this category. The AHRC pays its standard grants for research projects valued between £20,000 and £1 million. Because of the sums involved, the AHRC Research Grants Scheme is not suitable for one-person proposals. Instead, it encourages individual researchers to become part of a collaborative venture. Under the terms of the scheme, such projects can last up to five years. The grants pay for project-related travel and subsistence. The application lead-in times are lengthy: applicants should bear in mind that projects must not start earlier than nine months after requesting the AHRC’s help. This is because the AHRC can take up to 30 weeks before reaching a funding decision. Some universities have internal grant schemes for historical research. Funding often comes from sources such as the AHRC, charities, trusts and private companies. Postgraduate historians at the University of Leicester, for example, can apply for grants from the Friends of the Centre for English Local History or the Hoskins/Duffield fund. Grants can cover items such as travel expenses for research. At Newcastle University, the School of Historical Studies has £200 grants for postgraduate research students. These grants help towards travel and subsistence costs when researchers attend conferences. Whatever university they attend, historical research students should speak to their degree programme directors about sources of funding. There are sometimes small pots of money available for research expenses.